If you have patients with keloid scars on their chest, back, shoulders, earlobes, or face, you know and understand just how frustrating, annoying, and embarrassing those keloid scars can be. They’re itchy and sometimes quite painful, interrupting and causing issues for patients in their daily lives. Most of the 18 million people suffering are not even aware that successful removal of their keloids is an option. Finally, your patients can stop asking themselves, “Will I ever be free of my keloid scars?” Tell your patients about Sensus Healthcare, we offer a non-surgical keloid treatment option. Removing keloids has been a tricky procedure for many years, as most treatment options can result in further scarring, keloid growth, itchiness, and pain for many patients. 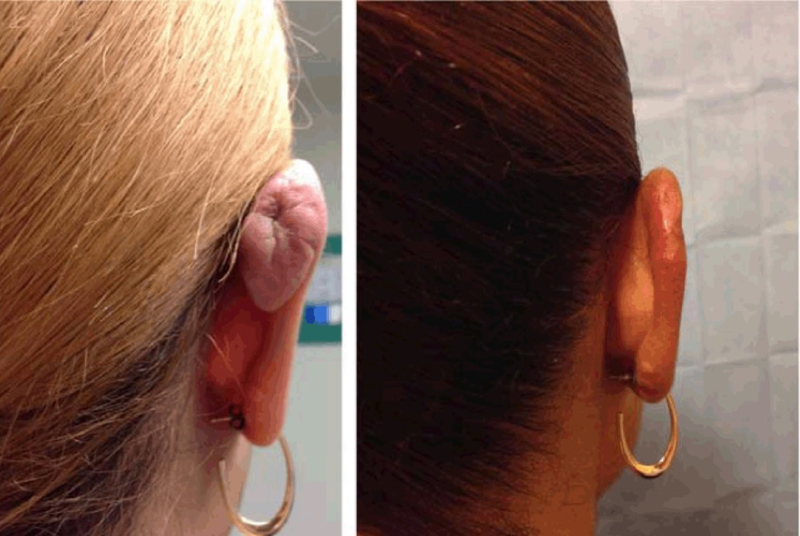 Up to 90% of the time, removing a keloid scar surgically results in another keloid scar. Now, thanks to the revolutionary SRT-100™, you can offer your patients a life without their keloid scars. The SRT-100™ delivers precise, calibrated doses of Superficial Radiation Therapy that only goes skin deep. The radiation delivered safely and effectively kills the cells that form into keloid scars while maintaining the smoothness of the skin during the healing process. The machine is compact enough to fit into your office, so there is no need to send your patients to the hospital. Each treatment is non-invasive, which means there is no cutting, no bleeding, no pain, no downtime, and no further scarring. Depending on the keloid, most patients require a series of short treatments. Over 90% of the time, their keloid scars will not return. The SRT-100™ has been approved by the United States Food and Drug Administration to treat keloid scars post surgical-excision. Are you interested in acquiring an SRT-100™ for your office or clinic? Contact Sensus Healthcare today.